Dudes! Todays post is just for you! Although we can’t promise it’s not going to get a lot of female attention to? Ladies aren’t the only ones cool enough to sport a top knot you know? The guys have seriously stepped up their hair game. Ok so the man bun isn’t exactly a new thing but it’s a trend that is still going strong and we love it! So today we have trawled the wedding sphere to find the grooms that really know a thing or two about #hairgoals. 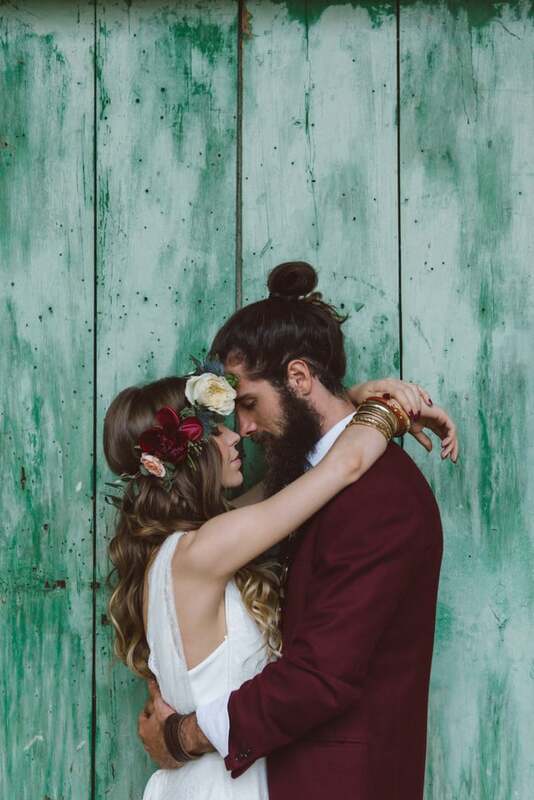 Scroll on down to see the seven trendiest guys to pull of a man bun at their wedding. So tell us guys, will you be sporting a man bun on your W-day? Let us know your thoughts below. Whooo… These guys almost steal the show and the attention! But that’s ok, it makes the photos even better! I’ve shot two man bun grooms.. Any they were the two of the coolest grooms I’ve photographed!